This week has been as much of a blur as any week that I can remember. Without work (except for Karen’s last day on Monday) and with lots of final arrangements to be made, we seemed to be running around constantly. Our time was dedicated to Sofi’s international health certificate, obtaining a USDA seal, two Chinese visas, some final vaccinations and plenty of quality time with our family and friends. Oh, and quite a few trips to our storage unit as well. 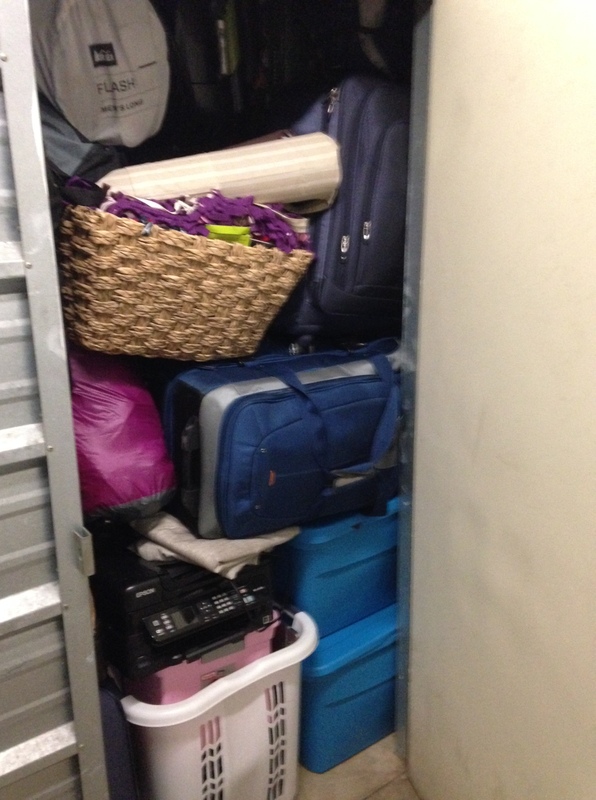 Over the course of the last few months, we’ve condensed everything we own into one storage unit. It’s been one of the most freeing experiences of our lives. Our society tends to just continually accumulate things we don’t need, so getting rid of a lot of it feels really nice. Our entire lives…in a 10’x20′ space. Now we find ourselves about 15 hours away from taking off on a plane that will change the course of our lives forever. We’re feeling exactly as you would imagine: excited beyond belief, anxious about what the future holds, and sad thinking about the incredible people we will miss in our lives while we are away. Ten months ago we got pre-approved for a loan on a house. Right now we sit in a room with two “houses” that we will carry on our backs for the next year. It’s truly mind-boggling to see how quickly life can change when you are called to a different path and you heed that call. Cheapest houses on the market! Early tomorrow morning we will drive Sofi to the airport and set her on course for Lima, Peru. The three of us will ultimately meet up in Cuzco, our first destination. Open the tab for Google translator because the next blog post will be in Spanish (just kidding)! I can pinpoint the exact moment when this journey began. It was in March of 2014, somewhere in a forest outside of Queenstown, New Zealand. Karen and I were about to embark on a canyoning excursion filled with climbing, jumping, rappelling, swimming and ziplining. In order to reach the top of the canyon where the fun began, we first had to hike through a forest to reach the remote access point. Little did we know that the extra time we had because of this hike would alter the course of our lives forever. Hey guys, here we are! And as a result of their answers, we started to ask ourselves some new questions. Karen turned to me and said, “could we do something like that?” My initial response was that I knew we could definitely make it happen, not knowing the repercussions this conversation would have months down the road. Fast forward to today. 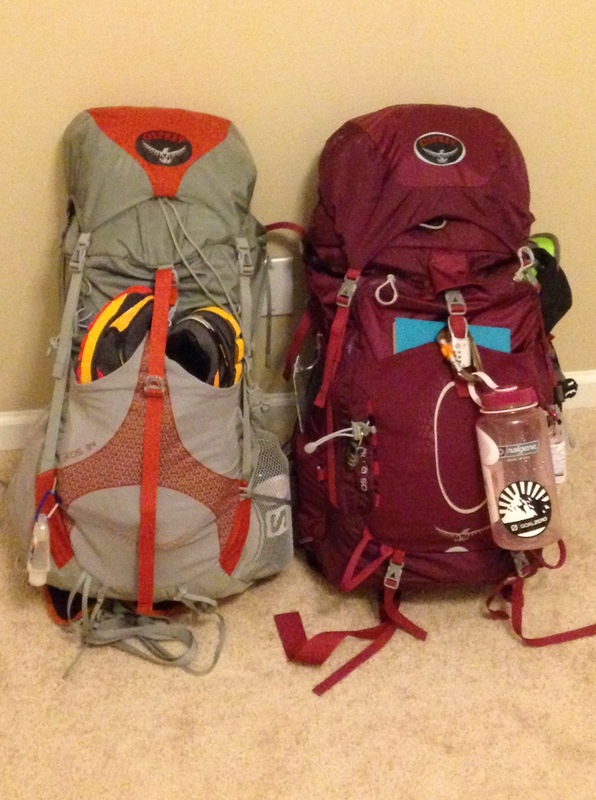 We are one week away from leaving on a year-long, five-continent worldwide adventure. It wasn’t easy saying goodbye to two excellent companies with incredible co-workers, and it certainly won’t be easy to leave our family and friends. There are a number of our everyday comforts and routines that will go by the wayside, but we’ve never doubted for a second that this is exactly where we are supposed to be. Everything happens for a reason, and anything is possible if you know in your heart that it’s right. Did I mention that our 15-month old chocolate lab, Sofi, will be making the trip with us? First stop: Peru.